That's what one Iraqi politician tells the Independent's Patrick Cockburn as the British foreign correspondent explores the undercurrents of growing violence and political conflict in the country still reeling and destabilized from more than a decade of war and an entire generation beset by Western sanctions, military intervention, and occupation. If things in Iraq continue to deteriorate, the politician predicts the results "will be worse than Syria." April in Iraq was the most deadly month in more than five years and many Iraqi politicians inside the country and outside experts are now saying that its not a question of when a civil war will break out, but that the violence now being witnessed proves a civil war—in many ways—is already underway. The situation has suddenly deteriorated since the killing of at least 36 Sunni Arab protesters at a sit-in in Hawijah on 23 April. An observer in Baghdad, who did not want to be named, said “ever since, Hawijah people are frightened of a return to the massacres of 2006.” She added that Sunni and Shia were avoiding going into each others’ areas. Signs of deteriorating security are everywhere. Al-Qa’ida showed its reach on Monday when five car bombs blew up in overwhelmingly Shia southern Iraq, leaving 21 dead. The Sunni fundamentalist group, which had a resurgence in 2012, is responsible for killing a majority of the almost 1,500 Iraqis who have died in political violence so far this year. 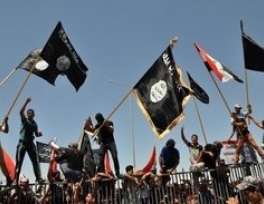 Its members are now able to roam freely in Anbar province where a year ago they were a secretive underground movement. In neighbouring Kirkuk, al-Qa’ida last week seized the town of Sulaiman Bec, shot the chief of police, stormed the police station and departed with their weapons after agreeing a truce with the Iraqi army. 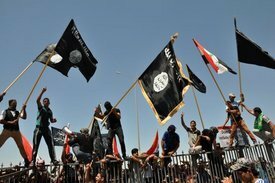 Earlier this week, a report titled Mission Unaccomplished, released by the UK-based War Child, found that the situation inside Iraq was "one of the world's most neglected" ongoing crises and warned that a "total collapse of the state" remained a distinct possibility if the situation did not improve. "We don’t want to have a second Syria here and we are heading in that direction. The fire is very bad and we don’t have many firemen." But, if Cockburn's reporting accurately reflects the dynamics inside Iraq, it appears that the situation is about to get dramatically worse, not better. He spoke with one high-level official within the Kurdistan Regional Government (KRG) in the north who described just how bad things have become, especially regarding the growing Sunni insurgency that is fueling a large amount of the recent violence. The two-year-old uprising of the Sunni in Syria encouraged their compatriots in Iraq, who share a common frontier, to start their own protests. These began last December and, until the army killed and injured scores of protesters at Hawijah, were largely peaceful. The revolts in the two countries are ever more running in parallel. Al-Qa’ida in Iraq last month announced that it had founded the al-Nusra Front, the most effective Syrian rebel military force, devoted half its budget to support it and sent experienced al-Qa’ida fighters to Syria as reinforcements.